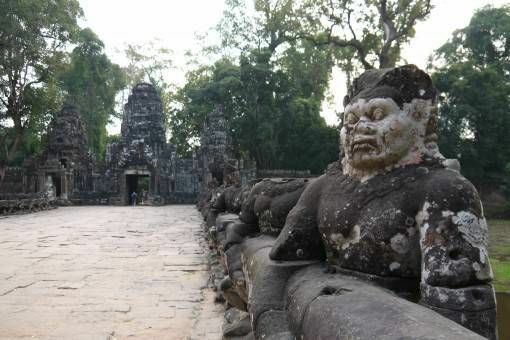 There’s much more to Siem Reap than Angkor Wat, on our second and third days of temple hopping we explored the Big Circuit and Roluos Group – here’s how it went and some tips on how to make the most of your temple experience in Siem Reap. After battling through crowds at the most popular temples on the Small Circuit, our second day of temple hopping was less crowded and more relaxed. Our first stop on the Big Circuit was Preah Khan temple which was almost deserted; we were able to explore in peace and enjoy the leafy surroundings before stopping at Neak Pean, a tiny temple built on an island in the middle of a lake. 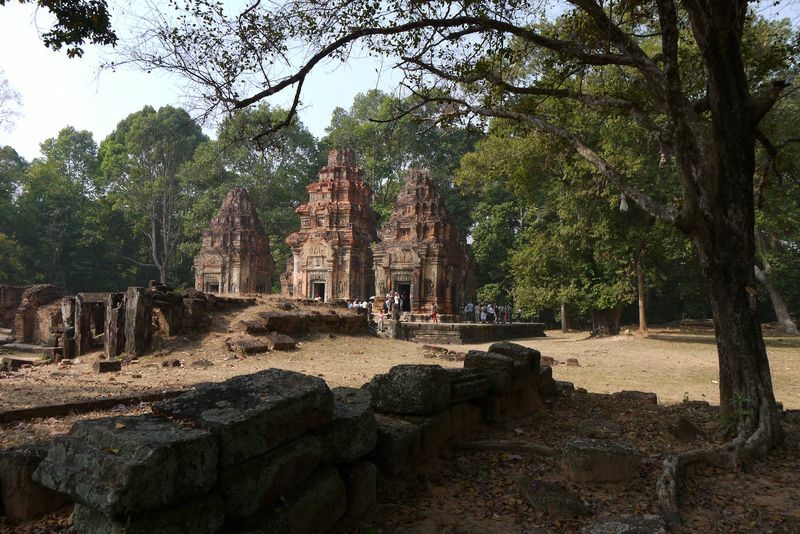 My favourite temple of the day was Ta Som, which had unique green and red shaded walls and pillars; Eastern Mebon temple was also distinct in its use of elephant statues. 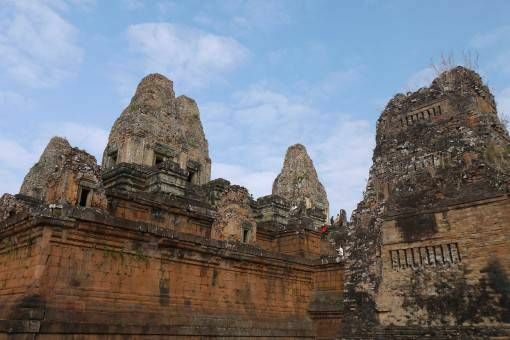 This cluster of temples is about a twenty-minute tuk-tuk ride from Siem Reap. 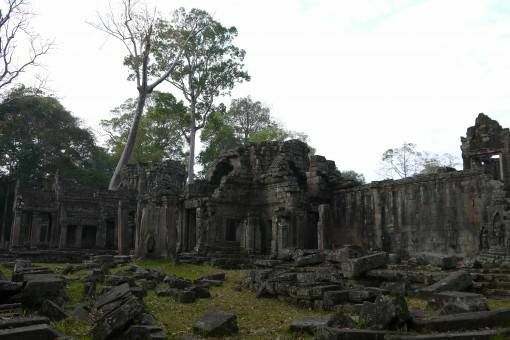 There are only three main temples to see in this group, Preah Ko, Bakong and Lolei; all looked more crumbly and neglected to me than those on the Big and Small Circuits. 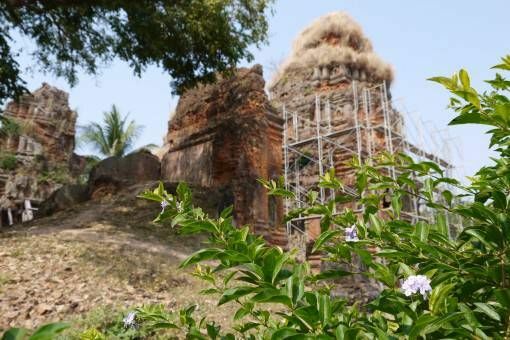 These temples were much less congested and more peaceful to visit, set in beautiful leafy surroundings; I particularly loved the red-brick temples with grass growing out of the tower-tops. In a repeat of our epic sunrise fail at Angkor Wat, we joined the crowds at Phnom Bakheng hill-top temple for an equally cloudy sunset. This is supposedly one of the best places to watch the sunset and I can imagine that the view of the sun hitting surrounding temples and countryside would be incredible if it weren’t for the cloud. 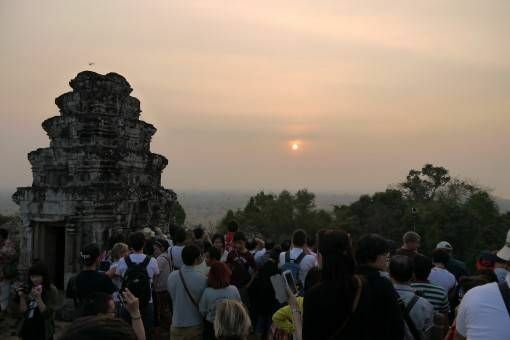 We were however, put off by the hordes of tourists and actually had to queue to get up into the temple itself; if we’d done some more research I’m sure we could have found a quieter spot to catch the cloudy sunset. 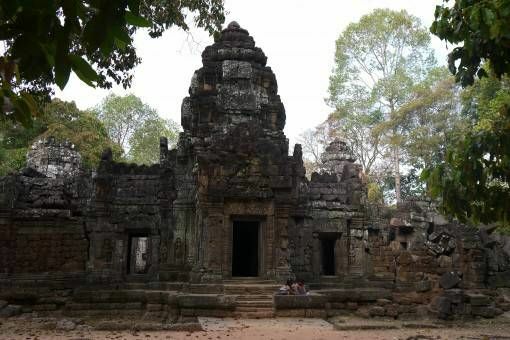 Hire a Tuk-Tuk – you can get around the temples in Siem Reap by bike, but bear in mind that the distances between temples are substantial; you’ll already be walking miles while exploring and it gets extremely hot in Cambodia, even during ‘cool’ season. Given all that we were very happy we opted to hire a Tuk-Tuk to take us around both the Big and Small Circuits and we wouldn’t have been able to get out to the Roluos Group without a vehicle as it’s located around 14km away. Our Tuk-Tuk cost us around £11 per day. 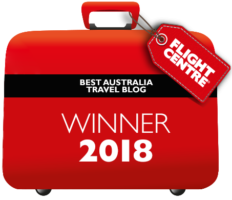 Visit in cool season – although it’s pretty hot in Cambodia all year round, November to February are the coolest and driest months. We happened to visit in January so although temperatures rose to the mid-twenties during the afternoon, the cool mornings were ideal for trekking around temples. Because of this, it was extra busy in so it may be slightly quieter during the hotter seasons, but the heat will be pretty intense. 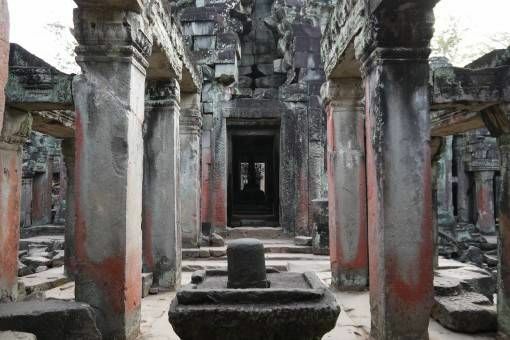 Choose your ticket wisely – you can choose from a one-day, three-day or week-long pass to see the temples in and around Siem Reap. 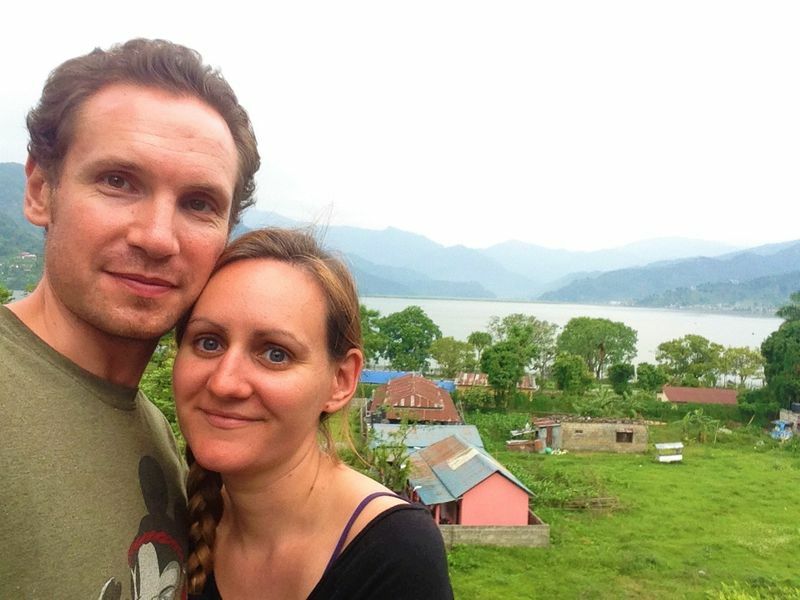 Bear in mind that there are dozens of temples to visit and you simply cannot see everything in one day; we opted for a three-day ticket and were happy with that option as it allowed us to see a decent amount of temples without wearing ourselves out. 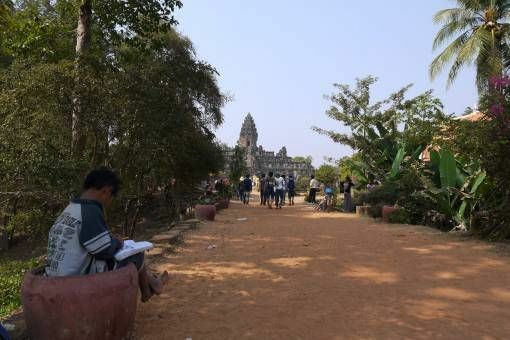 If you’re not keen on temples it’s definitely possible to see the main highlights in a day, while those who are really interested in ancient architecture would benefit from a week-long pass, which can be used over a month. 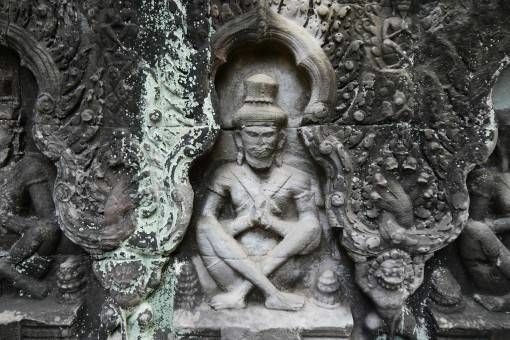 Pace yourself – whatever time of year you visit or ticket you choose to buy, pace yourself when temple hopping around Siem Reap. 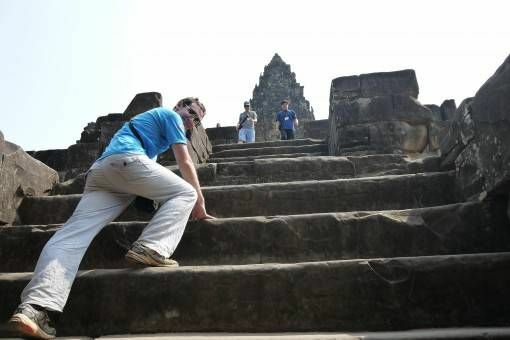 There’s a lot of ground to cover and you’ll find yourself scaling dozens of steep, uneven steps in fiercely hot conditions. It’s a good idea to start exploring early in the mornings when it’s cooler, stop for plenty of breaks and drink a lot of water. Plan your route beforehand with your driver and don’t put too much pressure on yourself to see everything. 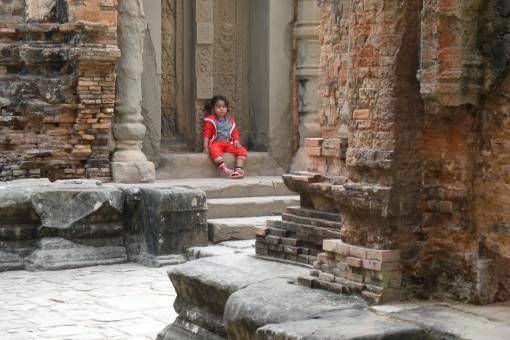 Avoid child-sellers – there were children selling postcards and trinkets in every single temple we visited near Siem Reap. While in Cambodia, on the advice of Child Safe International, we made the decision not to buy anything from children, since this only perpetuates begging and leaves them on the streets vulnerable to abuse. I would recommend doing the same and finding another way to help the children of Cambodia. I have such a bad case of wanderlust whenever I see anything Angkor Wat related – it’s been on the top of my list for so long. Your pictures are fantastic! 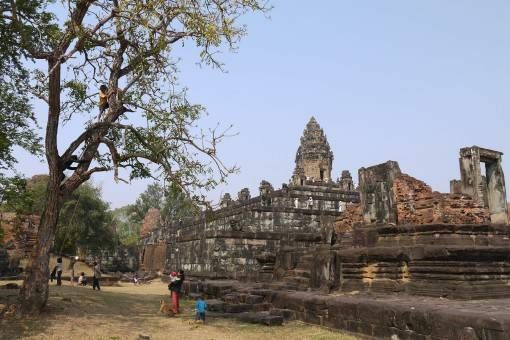 We visited Sukhothai in Thailand, and while the main site was crowded, the smaller ones we had completely to ourselves. I’m not sure I would even attempt the sunset shot after seeing your photos of it – haha! Lovely tips at the end too! “Avoid child sellers” – It’s so hard, isn’t it? My instinct is to give to them, but I understand the reasons not to; as you say it just perpetuates the situation, but it’s difficult. 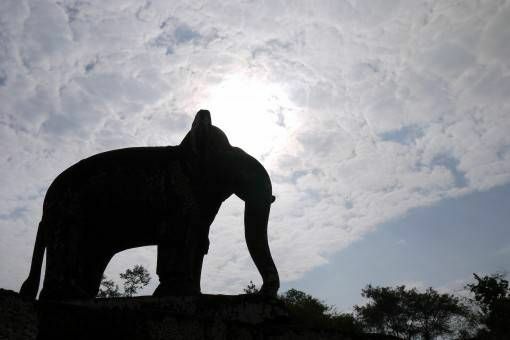 I love all of these photos, especially the photo with the little girl in red and the silhouette of the elephant against the sky. So happy for you as you continue to explore. When do you head back to the U.K.? You must be getting excited! Thanks Patti 🙂 We are heading back to the UK on Thursday and we’re super excited, it’ll be great to see everyone and stay in one place for a while before we head back out on the road!